Dr. Tracy was born in Greenville, NC. She attended East Carolina University where she graduated with a BS in Biology in 1996. 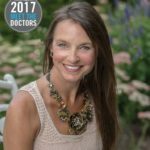 She entered UNC School of Dentistry immediately following undergrad, and graduated in 2000 with her Doctorate of Dental Surgery. Dr. Davidian is highly trained in TMJ and Myofacial Pain Disorders, and has received her Fellowship with the American Academy of Craniofacial Pain. 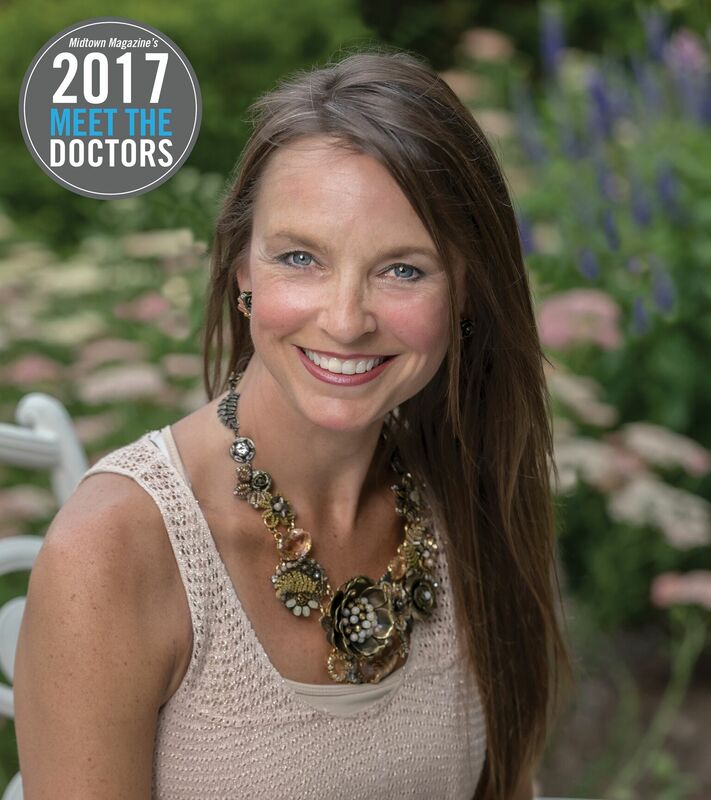 She has advanced training and knowledge in Sleep Related Disorders (ex: sleep apnea) through her education received at Tufts University in Boston. She has also received a Fellowship in Neuromuscular Dentistry while attending the Las Vegas Institute for Higher Dental Education. 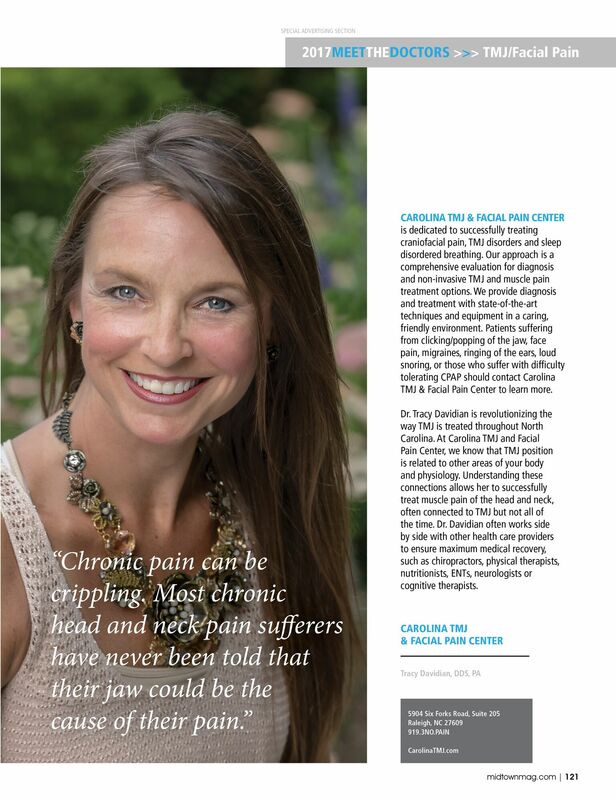 As a top Raleigh TMJ & Craniofacial Pain dentist, she believes that knowledge is ever changing, and because of that belief, she strives to continue the learning process. She is currently taking Advanced Educational Courses with the American Academy of Orofacial Pain. Dr. Davidian is a current member of the NC Dental Society, American Dental Association, The American Academy of Craniofacial Pain, The American Academy of Orofacial Pain, International Association of Physiologic Aesthetics, and the International Institute of Facial Aesthetics. Tracy started a foundation in 2009 in honor of her late mother-in-law. The Helene Foundation helps to support mothers and their families as they are undergoing cancer treatment. They have been honored to assist over 100 families since it began. In her free time she enjoys drawing, running, reading, traveling, and spending time with friends and family. When she is not practicing at Physiologic Aesthetics, she and her husband are practicing together at their second practice, Sedation Dental Care. They reside in Raleigh and have two beautiful sons. Based on this simple definition, you can assume that neuromuscular dentistry is the treatment of nerves and muscles that are associated with the teeth. By medical definition, neuromuscular dentistry is the science of treating conditions in which all components of the oral system, from nerves, to muscles, to teeth, to TMJ joints, are factors. Dr. Tracy has extensive training and experience in the field of neuromuscular dentistry and can use her expertise to diagnose your condition and recommend appropriate treatment. 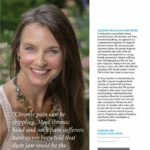 Dr. Tracy Davidian uses neuromuscular dentistry to unveil what’s causing your TMJ (temporomandibular joint) dysfunction and comes up with a solution to help you overcome your pain and restore comfort and full functionality to your daily life and activities. Physicians and dentists are alike in numerous ways. Both health professionals are available to ensure that you are healthy and when your health is less than perfect these people are the ones you go to for diagnosis and treatment. Dentists and physicians are also similar in the fact that in both professions there are areas in which a doctor can focus his/her studies and focus his/her practice on that area. Just like a cardiologist focused their practice on heart related conditions and the surrounding treatments, a neuromuscular dentist has focused knowledge and experience in caring for the entire dental area with emphasis on the jaw and mouth structure. A dentist practicing neuromuscular dentistry in Raleigh such as Dr. Tracy Davidian knows that our dental health plays a large role in the health of our bodies. When the bite (technically referred to as occlusion) is misaligned, the rest of the body is impacted as well. Malocclusion, or an imbalance within the bite, is known as TMJ Disorder or TMD for short.